The Disneyland parks operate from 10am to 7pm. Extra Magic Time is from 8:30am to 9:30am. The Disneyland Paris amusement park operates every day throughout the year. We are comparing Disneyland Paris Tickets Prices from leading ticket suppliers and Try to find you Cheap tickets prices on the market. With the tickets to the Disneyland Paris park you get to bypassing waiting in lines to purchase tickets. Also, you benefit of the use of a shuttle service from Paris (depending on the operator you choose). Once inside the Disneyland Park or the Walt Disney Studios, you enjoy the experience of a lifetime. Be entertained by the performances of various Disney characters, enjoy interesting exhibitions and musical performances, ride a relaxing or adventurous roller coaster rides and more. Visit the lands you learnt to love from childhood stories, the worlds of palaces and castles, including the Sleeping Beauty's Castle, Alice in Wonderland’s Labrynth and more. Explore Captain Nemo's Nautilus and Robinson Crusoe's home. Have marvellous shopping experience while taking a break from entertaining activities. This package is suitable for children and adults. Everyone will be entertained in this fairy tale paradise. Your Experience With Disneyland Paris Tickets? 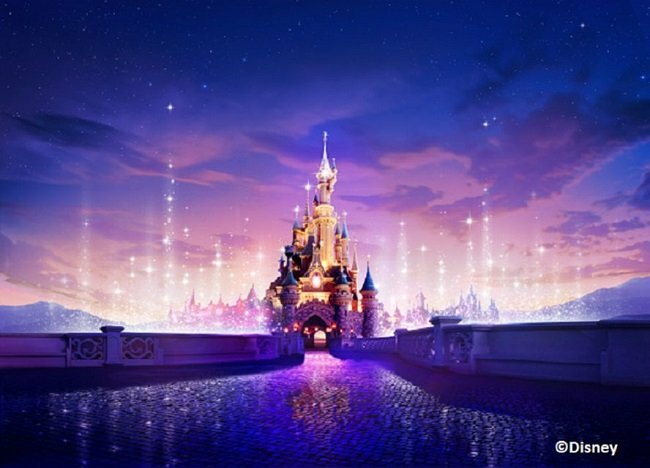 With the Disneyland Paris tickets, you will get inside the most-visited amusement park in Europe, located on the outskirts of the French capital. Depending on the selected option, you will get entrance to either one or both of the Disney Land parks. In the Disneyland Park, enjoy performances of popular Disney heroes, take thrilling roller coaster rides and visit places out of a fairy tale. In the Walt Disney Studios, you will remind yourself of the all-time movie classics in a unique and entertaining way. By the end of the day, the spectacular Disney Dreams show will exhilarate and mesmerize you. Yyou can benefit of the complimentary shuttle from Paris to Disneyland Paris Park (depending on your ticket provider). What Disneyland Paris Tickets Includes? Transfer between Paris City Centre and Disneyland Park by shuttle bus (If selected). Entrance to Disneyland Park and/or Walt Disney Studios (depending on ticket provider). Entry to both parks of the Disneyland Paris (Premium ticket holders only). Pick-up and drop-off (at the specified locations). Disneyland has many types of entertaining rides ranging from relaxing to thrilling. Various entertainment shows and public performances take place throughout the day. Travelers Reviews about Disneyland Paris Tickets? A visit to Disneyland is highly rated among travellers on leading websites. They rate this activity with the 4.5 on Get Your Guide and Viator, and 4 out of 5 on TripAdvisor. Most visitors to Disneyland had a fantastic experience, they really enjoy the roller coaster rides, shows and exhibitions of this fairyland. Disneyland Paris is suitable for people with mobility disabilities. Wheelchairs and other facilities are available on site. You can show either paper or mobile voucher at the entrance. Present your voucher while boarding the shuttle. Some providers allow for penalty-free cancellations if the changed are made a sufficient number of days in advance. Some tour providers do not offer refundable tickets. Pay attention to whether your chosen operator offers the round-trip transfers from Paris to Disneyland. Also, check your meeting point with your chosen tour provider as locations can vary. Please arrive 15 minutes before the scheduled departure of the shuttle to Disneyland Paris. The address of the Disneyland amusement park is 77777 Marne-la-Vallée, France.